This 2019 Mercedes-Benz GLA GLA 250 is offered to you for sale by Mercedes-Benz of Scottsdale. This Mercedes-Benz includes: PREMIUM PACKAGE Keyless Start HD Radio Hands-Free Liftgate Heated Front Seat(s) Satellite Radio Power Door Locks Keyless Entry Blind Spot Monitor Remote Trunk Release SMARTPHONE INTEGRATION Smart Device Integration CRYSTAL GREY, MB-TEX UPHOLSTERY Premium Synthetic Seats NIGHT BLACK CONVENIENCE PACKAGE Auto-Dimming Rearview Mirror Universal Garage Door Opener LED LOGO PROJECTORS (SET OF 2) (DIO) *Note - For third party subscriptions or services, please contact the dealer for more information. * Want more room? Want more style? This Mercedes-Benz GLA is the vehicle for you. Everyone hates the gas pump. Skip a few gas stations with this super fuel efficient Mercedes-BenzGLA. 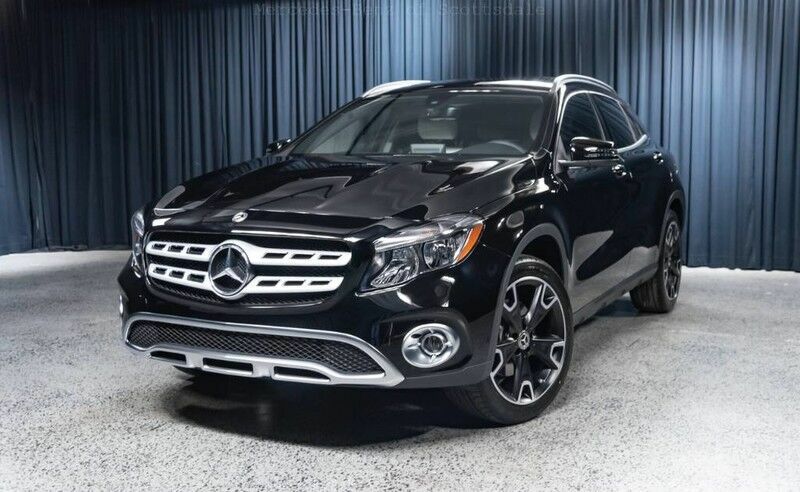 This outstanding example of a 2019 Mercedes-Benz GLA GLA 250 is offered by Mercedes-Benz of Scottsdale. This SUV gives you versatility, style and comfort all in one vehicle. Everyone hates the gas pump. Skip a few gas stations with this super fuel efficient Mercedes-BenzGLA. You've found the one you've been looking for. Your dream car. Just what you've been looking for. With quality in mind, this vehicle is the perfect addition to take home.